Sometimes we forget that even rock stars have moms! 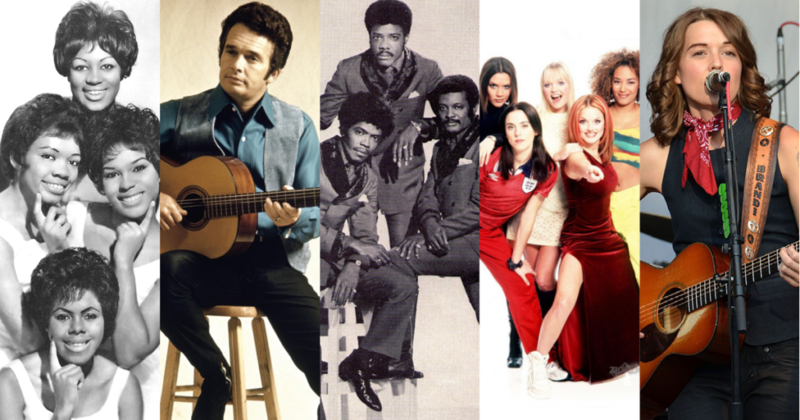 From Merle Haggard to the Spice Girls, get ready to celebrate Mother’s Day with these five fun musical tributes honoring all the moms out there. The Shirelles sing their gratitude for motherly words of encouragement and spot-on advice in this R&B classic that’s been featured on Netflix’s “Orange is the New Black” and Cartoon Network’s “Adventure Time.” Mama reminds them “…don’t you worry, there’ll be days like this,” and that things will always get better as the Shirelles struggle through young love until—as is often the case—they realize their mama was right all along. From truancy to running away from home on a freight train, Merle Haggard seems to have put his mom through the ringer growing up, but in this country-staple he thanks her for always doing her best to steer him in the right direction. Luckily, it seems all turned out well for Haggard, and the song has since been added to the National Recording Registry for its cultural and artistic significance. In this upbeat soul number, The Intruders thank their moms for their countless sacrifices and unwavering support. Inspired by Kenny Gamble’s real-life mother Ruby, “I’ll Always Love My Mama” is a loving ode to the woman behind the scenes who got him where he is today. Brandi Carlile reflects on her own transition to motherhood in this touching acoustic ballad exploring what it’s like to have your life “tethered to another.” With a honey-crisp voice, Carlile tells her daughter that even though life has changed since she’s become a mother, it has definitively been for the better and she wouldn’t trade it for the world. These songs remind us that whether she’s near or far away, our moms (and mom-like figures) are always in our hearts. Whether you’re a mother, daughter, granddaughter or aunt, we hope you celebrate this Mother’s Day surrounded by loved ones! This entry was posted in Holidays on May 11, 2018 by Louisa Johnston.